feeling stitchy: What's All the Hoopla About? 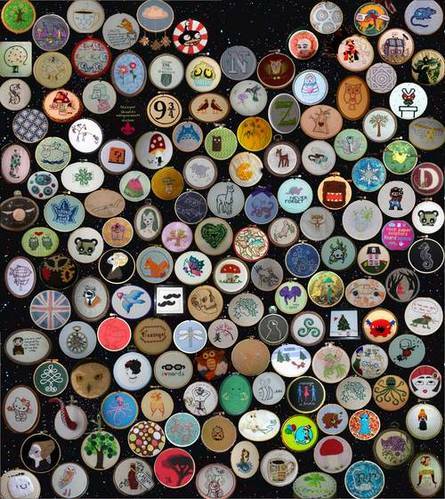 I am constantly amazed by all the wonderful stitchy members over at Craftster. 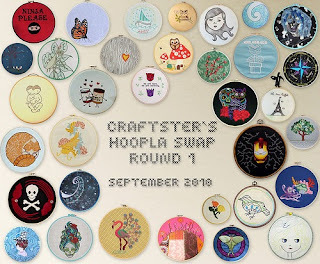 The Hoopla Swap started with one round and is now one of the most popular swaps on the site. Round 3 blew the roof off! I can't wait to see what round 4 has in store for us! I was in Rounds 1 and 3! I have loved every minute of the Hoopla and it has become quite the craze. Everyone wants their own Hoopla wall. 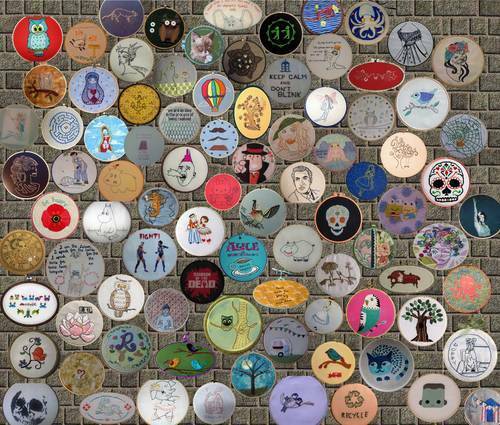 While the swap is in the sign up stage, we often show pictures of our current hoop collection. It's so much fun! Yes please! I want a hoopla collection!! OMG! Some of those items look AMAZING! We need to join ASAP! Ooo one of my goals this year is to be in one of the Hoopla Swaps!! I have been in all three thus far and have signed up for the fourth which is taking sign ups now. It's been a lot of fun. I had never even thought of a hoopla wall until the first and then once you get on it's addicting. I have made a couple for myself, my sister made one for me for Christmas and she is now in the swaps too. And Troublet is correct, everyone is very cool and supportive of what is made . It's fun to see which hoop comes next in the thread! Thank you for sharing our hoopla happiness with the world! Everyone in this swap is not only super talented but also supportive and really fun! 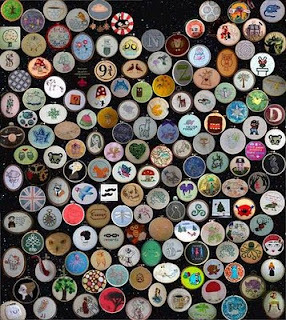 I'm very excited to see what clever creations are made in round 4 - diptych round!! Oh I'd love to join in this swop too!! I has obviously been amazing in the past.